Constantly monitoring the performance of your Amana® brand air conditioner, this advanced diagnostics system provides insight for accurate troubleshooting and quick diagnosis and repairs. Using the compressor as a sensor, CoreSense Diagnostics delivers active protection and will proactively shut the system down should it detect conditions that could damage the compressor. As a result, catastrophic failures and extensive, costly repairs are often avoided. Energy efficiency equates to cost savings. 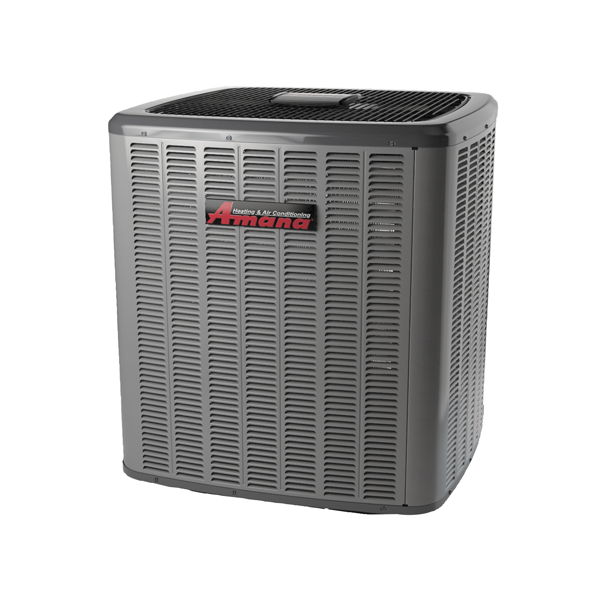 Your Amana brand ASX14 Air Conditioner offers up to 15 SEER energy-efficiency performance. “SEER” stands for Seasonal Energy Efficiency Ratio, a measure used by the U.S. Department of Energy to rate the cooling efficiency of air conditioners and heat pumps. The higher the SEER, the greater the efficiency—and the lower the operating cost. Compared to lower SEER units found in many homes, am Amana brand ASX14 Air Conditioner provides significant savings on your electric bill. 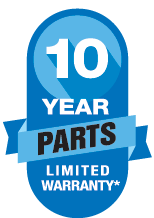 The compressor and functional parts in your Amana brand ASX14 Air conditioner system are covered by a 10-Year Parts Limited Warranty*. For a full description of this warranty, please see your local Amana dealer or click on the consumer brochure and product warranty links above. The owner of this central air conditioning system will appreciate the energy savings and money-saving comfort that this product delivers (compared to lower SEER products). Further, the unit features an attractive louvered metal coil guard that protects the coil from damage plus a powder-paint finish that provides premium durability and improved UV protection.